Alsco, a pioneer in linen and uniform rental services, has joined forces with one of racing's iconic tracks, Charlotte Motor Speedway, for a historic entitlement sponsorship of the Alsco 300 on May 26. 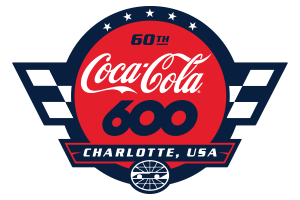 Alsco's groundbreaking sponsorship of the Alsco 300 at Charlotte Motor Speedway coincides with the 40th anniversary of the inaugural running of one of the crown jewels on the NASCAR XFINITY Series schedule. Additionally, Alsco - which also sponsors the NASCAR XFINITY Series race on July 13 at Kentucky Speedway - becomes one of only two companies to serve as entitlement sponsor of multiple XFINITY Series events. "Charlotte Motor Speedway is all about striving for excellence, which is a quality we share with Alsco," said Greg Walter, Charlotte Motor Speedway's executive vice president. "Alsco's partnership with the speedway is proof that this world-class company is committed to supporting our thrilling, action-packed events at America's Home for Racing. Fans will be in for a show on May 26, when some of NASCAR's most prominent drivers will tangle with the up-and-coming future stars of the sport in the Alsco 300 at Charlotte Motor Speedway." Alsco is a worldwide leader in the rental of linen, uniforms, healthcare garments and washroom products. The family-run business introduced linen and uniform rental services to the world in 1889. "I don't think we can have better people to work with than the folks at Speedway Motorsports, Inc. They bend over backward to make sure everything is right in our partnership," said Steve Larson, Alsco vice president, North American operations. "We're committed to NASCAR and what it's meant for Alsco, which is why we sought a second race sponsorship. Our partnerships across the racing world, together with VF Workwear, have given us great exposure, opened doors, and have given us opportunities for valuable business partnerships," said Jim Divers, Alsco's director of sales and marketing. "We are also excited at the prospect of being able to do this at Charlotte over Memorial Day weekend. This is a great platform to show our respect to our military, active and veteran." To purchase tickets, camping and race-day upgrades, fans can call the speedway ticket office at 1-800-455-FANS (3267) or shop online at www.charlottemotorspeedway.com.